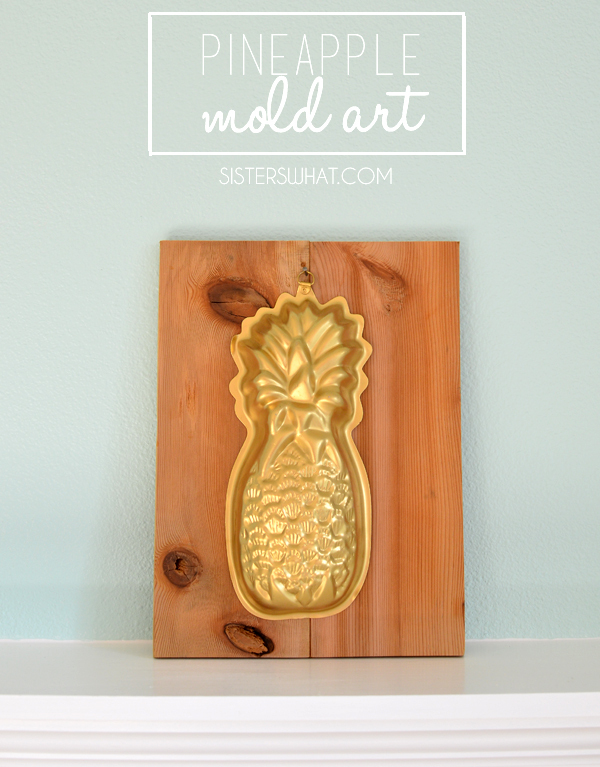 ' Pineapple Mold Art || DIY - Sisters, What! 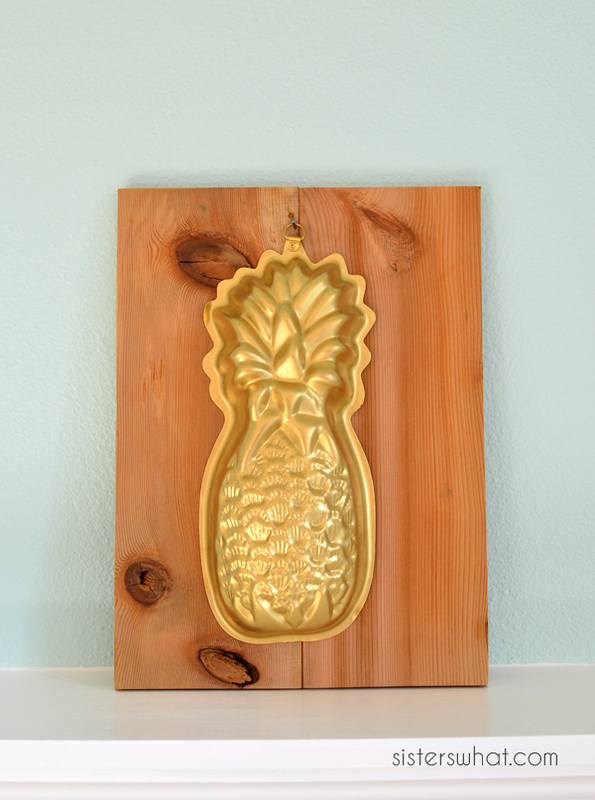 I kind of have a confession to make, this awesome pineapple art was initially an intended gift for my sister Sierra (you may remember her obsession with pineapple, well we all love pineapple). I found the mold at the thrift store and knew it had potential. 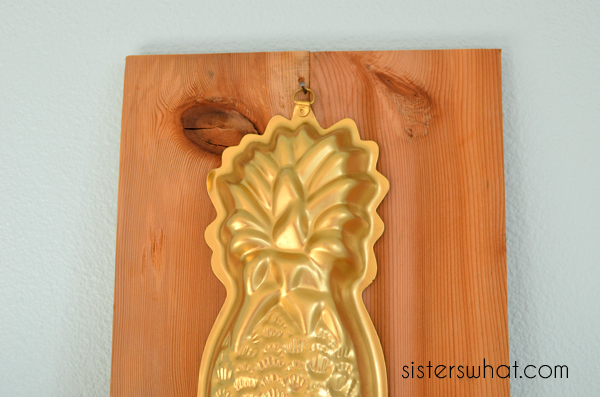 After I sprayed painted it gold and put it on some wood I suddenly became selfish. The husband solidified this when he said that he actually liked it (he is often a skeptic at first of my brilliant ideas). The fact that he liked it made it harder to giveaway, sorry Sierra. 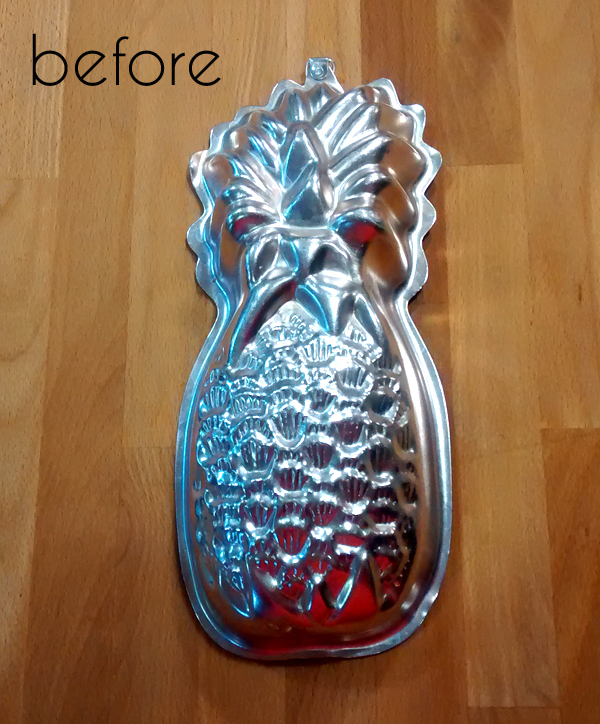 Don't worry, I had a second brilliant idea in mind for her also involving a gold pineapple (will be on the blog soon enough), so she didn't lose out. 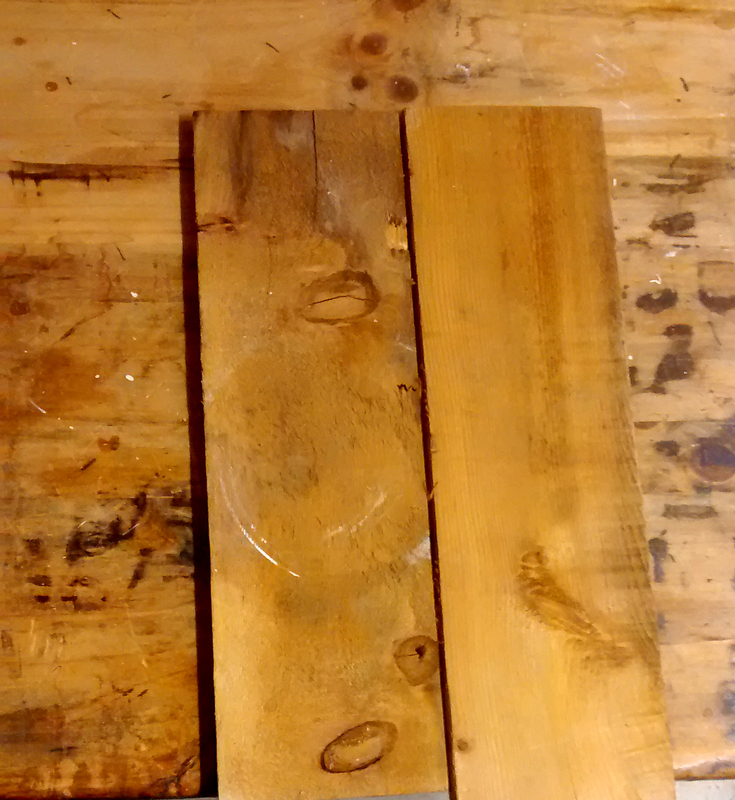 ||3|| On the back of your wood with the wood glue, glue the two pieces together and let dry. We clamped the two pieces together to try to have a better seal. 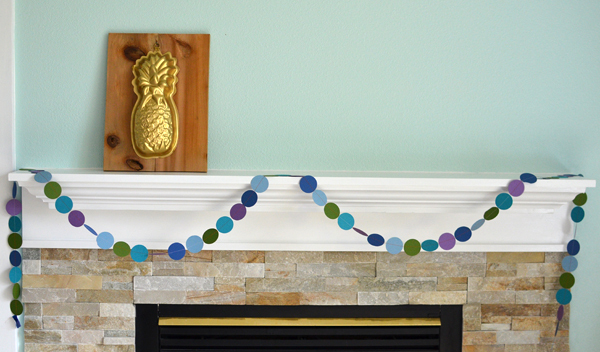 this is fun, pretty and looks so simple! I love your love for pineapples. 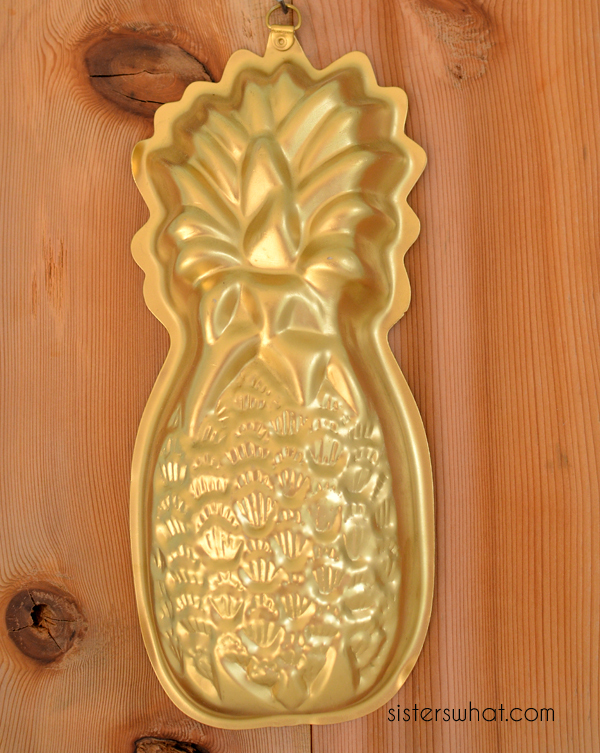 You might be the first one I've heard of who loves pineapple so much...except for the show Psych!